The development of the Internet can be traced back to 1958, when, in the shadow of the USSR's launch of the Sputnik satellite, the Advanced Research Projects Agency (ARPA) was established to research and develop new technology for the United States military. During the 1960s, computers became increasingly more standard and smaller, the first online networks were established and the ARPA network program began in 1966. Throughout the period there was great theorizing and excitement over the problems, components, and potential military and academic applications of computer networking. The culmination of these efforts and developments came in October of 1969, when the first ARPANET (Advanced Research Projects Agency Network) host-to-host (meaning independent network-to-independent network) connection was established between the University of California at Los Angeles and the Stanford Research Institute. This first packet sharing connection between two networks became the cornerstone for what came to be known in the early ‘70s as the Internet. 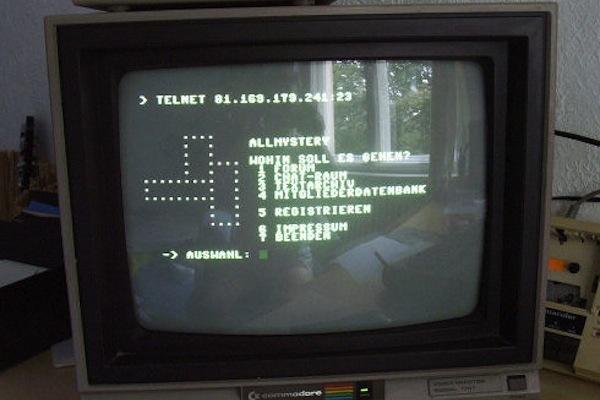 It was not long until the connection began to be used for email and in 1976, the first commercial email service, Comet, was established. Many confuse the World Wide Web, a network of Internet websites, with the Internet, a network of computer networks, but the World Wide Web would not come online until much later, in 1993. So, where does Al Gore fit into all of this? As a congressman, Gore championed various telecommunications projects, including ARPANET, that laid the foundation for the modern Internet.